The Better Business Bureau of Western Virginia challenged Frankl Creative to create a campaign that raised awareness of the BBB and touted the benefits of being a BBB Accredited Member. Frankl Creative responded by illuminating the Bureau. With a clever tagline that reaffirmed its brand, the campaign encouraged membership and directed consumers to look to the BBB as a resource. The campaign suite also included print collateral, radio advertising, and television commercials. And its pièce de résistance? 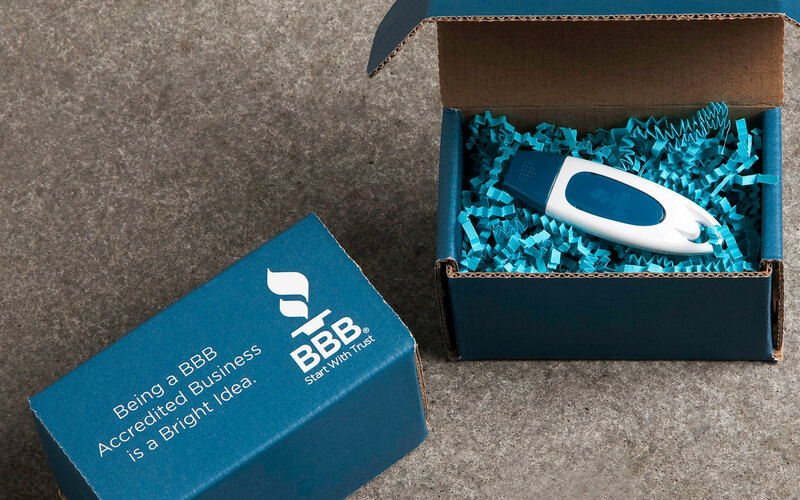 The outreach marketing—a small blue box containing a lighted video flash drive that details BBB Accredited Member benefits.